It’s okay if you can’t keep up with the crush of future iPhone rumors and speculation. There’s a lot to sort through. Just last Friday it was reported that the rumored September iPhone release — Apple has historically announced new phones in the early summer, but reports suggest that the yearly cycle is being shifted to the fall — won’t be the iPhone 5, but rather an upgraded version of the iPhone 4. The fifth generation iOS phone may or may not be arriving this fall, but previous reports that revealed it will sport an edge-to-edge screen have received additional support from a new source. 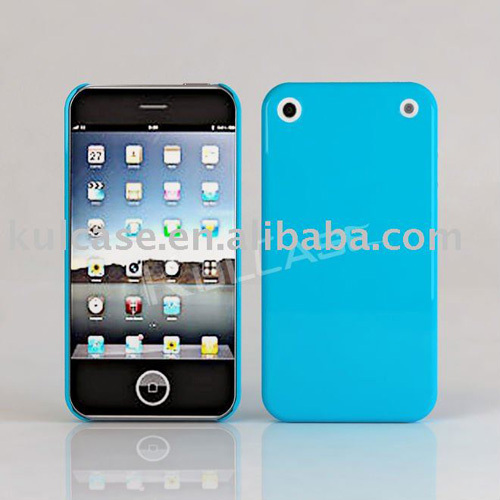 Asian website AliBaba features a product listing for an “iPhone 5G” case with an image of a placeholder iPhone featuring the edge-to-edge screen we’ve heard about as well as a new location for the phone’s camera flash. There’s no side view available, but the back of the device doesn’t appear to be tapered, as previous reports about the fifth gen iPhone have suggested it would be. This suggests that we may well be looking at an iPhone 4S instead, the alleged upgraded fourth gen model that we reported on last week. The big difference between the rumored 4S versus the rumored 5 is network access. The 5 will have the ability to run on a 4G/LTE network; even without confirmation from Apple, that is pretty much a certainty. The 4S will not. If the rumors are true, its very existence seems to be pinned, at least in part, to the fact that Apple isn’t happy with the 4G-enabling Qualcomm LTE chipset but wants to release something this year. The 4S would reportedly feature “minor cosmetic changes, better cameras, A5 dual-core processor, and HSPA+ support,” all of which could easily be applied to the device pictured above.